God cannot be taken by surprise at anything. He has His plan and will pursue it until its fulfillment, however much man fails. What about our beloved America? Strange things are taking place. I believe the news media is not giving us the WHOLE picture. But thankfully, there is an answer. Actually, the Bible gives us a very precise reason for the things that are happening. And that’s what Midnight Call magazine is all about. Our research uncovers the hidden news behind the news. We reveal the many important events often overlooked by the news media. As a Christian, we know that God has a plan, a purpose; nothing is happening “accidentally.” That is precisely what we would like to share with you. Not what we think, but what the Bible says. 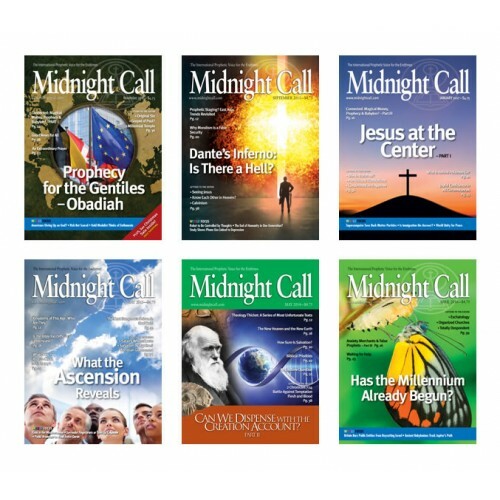 Actually, you will be amazed at the wealth of new information you will receive month-after-month when you read Midnight Call magazine. Start taking advantage of this special offer NOW and receive the news, updates, and special reports you won’t find anywhere else. The information you receive in each issue of Midnight Call is vital in order to discern the times in which we live.